It's getting warmer, in fact today it's supposed to be 95! cooling it down pretty fast. Finally had a beautiful sunset the other night. Saturday morning we had a cool moment. 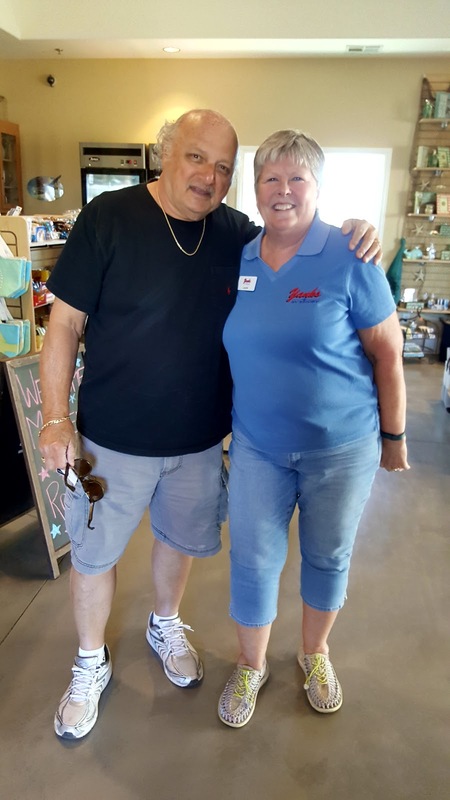 Dennis Franz, of NYPD Blue fame checked in for a couple days. to their home in Couer d' Alene, ID. 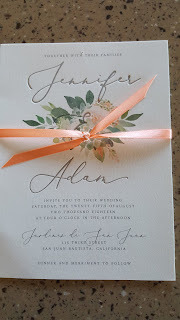 Wedding plans for Adam & Jen are moving along. 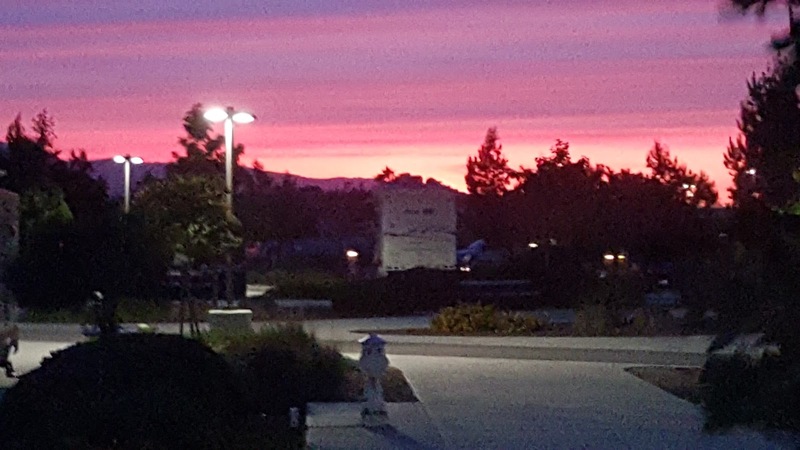 Beautiful sunset picture. 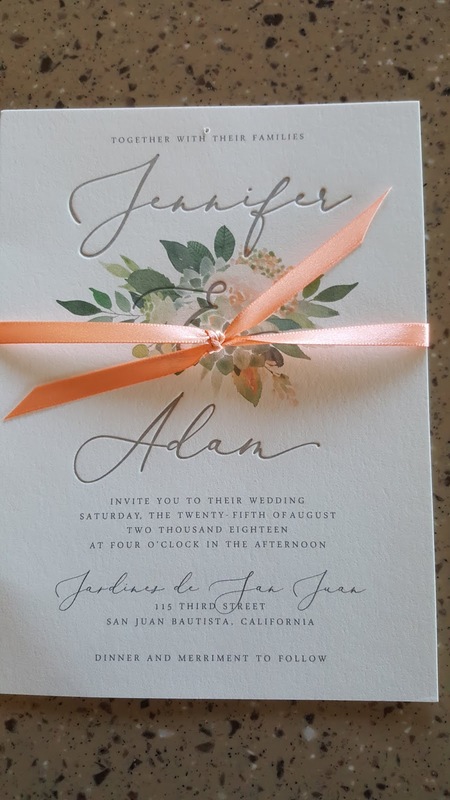 What lovely invitations. I love her colors. So exciting for you all. But 95 - uggg! Peach and Green. What a beautiful, novel idea. Okay so I must've missed your blog about Adam's engagement -- congratulations to him! All kinds of excitement in your life right now. Very cool that you got to meet Dennis Franz. It never occurs to me that some stars may be traveling around in an RV. Guess you never know who you might bump into out on the road.